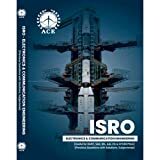 ISRO (Indian Space Research Organisation) offers the position of Scientist/Engineer ‘SC’ in the Pay Band(PB-3) of Rs.15600-39100 with Grade Pay Rs.5400/- to the young graduates in the following engineering disciplines : Electronics, Mechanical & Computer Science. Here we are going to publish Free Mock Tests for such examination. So that candidates can check their preparation for such exams on daily basis. Could you please provide us your ISRO exam date. We will try to post test asap.